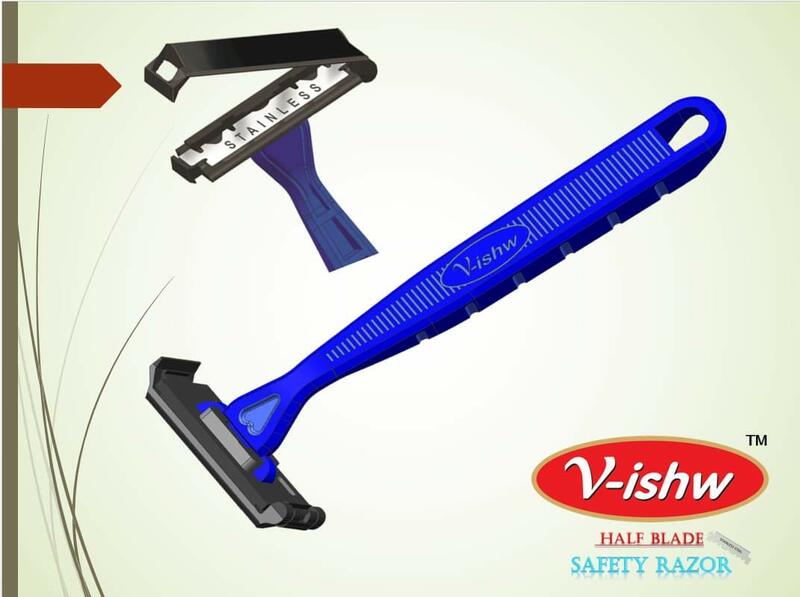 New half blade pivoting head plastic single edge razor, it is an Indian Product available in Amazon India, cost is 10-piece for about $4. Global shave club, a Canadian company importing this razors and sells through their website. Costs $2 plus shipping(1-piece). They also have more aggressive, less aggressive head and chrome plated brass handle options. I believe the head just slides out and easily replace with another head. Ships from Montreal so will probably take 10 days to get to me. Montreal is on the St. Lawrence River. Its canoes are now the latest, speedy models. Each person gets a paddle. Just refrain from rocking the boat, s'il vous plaît. Please do not buy from this vendor. I never received the Challenger SE razor and paid him $9.00 . I have a dispute setup with Paypal and this guy (Sheldon) is a real con artist. Claims never received my 3 emails and never confirmed razor was shipped dper his written policy. Claims shipped me 2 razors but none got to me. I have to agree with slantman. I ordered three Challengers from him and two were not in (the mild one and the brass handle one). Not a problem with taking my money when I ordered, however instead of telling me two items were not in and what did I want to do, he just sent me two other items and a free "Gillette Tech" which was the old version of the Baili Tech clone. Sometimes yo end up paying more for a cheap razor (in the waiting, follow up and communication) than it is worth. I just bought one and got it in the mail after a week. Mine came with Blue Bird blades which i thought were discontinued, happy to use them again either way because i like them. I will say that i got payment confirmation but never any shipping info. The razor arrived just thrown in a shipping envelope with no box or wrapping. Good thing its plastic. Global Shave could work on their communication, packing and shipping. At least i got my razor in one piece.